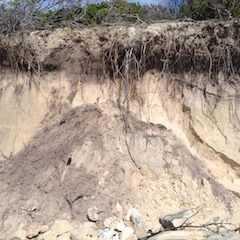 Sand is a large accumulation of small rock and/or mineral particles in the size range of from 20 micrometers to 2,000 micrometers in diameter (0.020 to 2.0 millimeters). 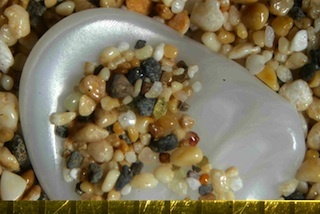 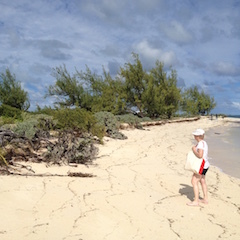 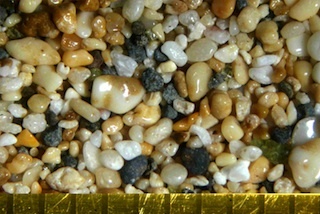 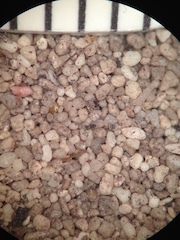 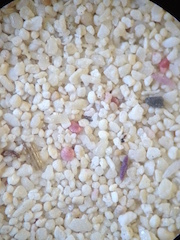 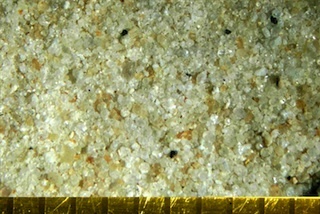 Sand may include small shells or shell fragments and oolitic deposits. 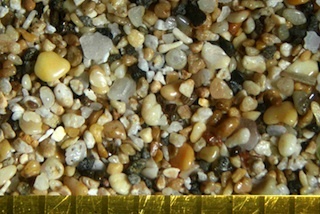 Sand is a size and density segregated material that is the result of air or water action. 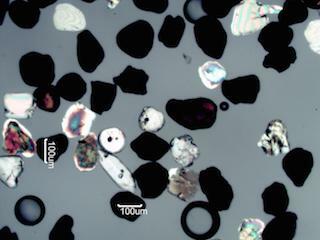 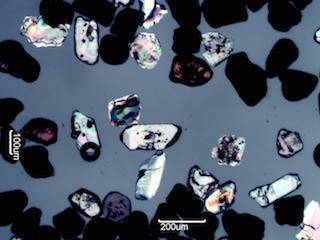 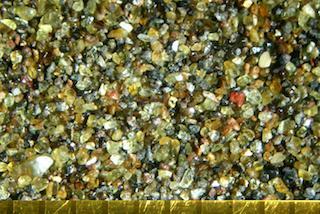 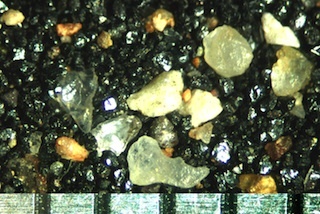 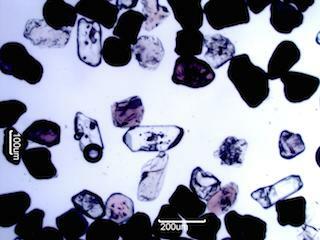 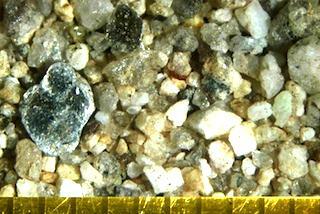 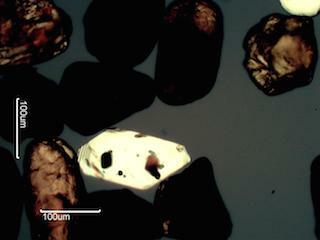 Click here for good information on the microscopy of sand; great site for more information on microscopy in general.